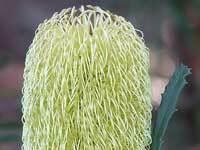 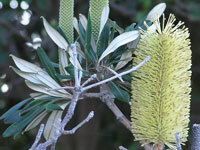 If the Kookaburra is the most Australian of birds, then Banksias are the floral equivalent. 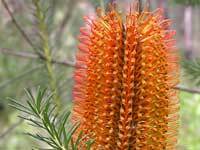 Banksias were named after the botanist Sir Joseph Banks, who was aboard Captain James Cook's Endeavour when they "discovered" the East Coast of Australia in April 1770. 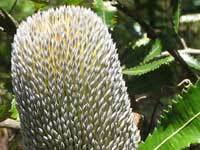 The Endeavour landed at Kurnell in Botany Bay on 29th April - which would have been an ideal time to see the Banksias in flower. 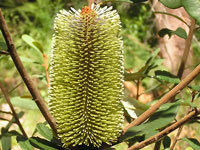 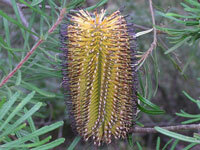 There are about 80 Banksias in Australia, most being in Western Australia. 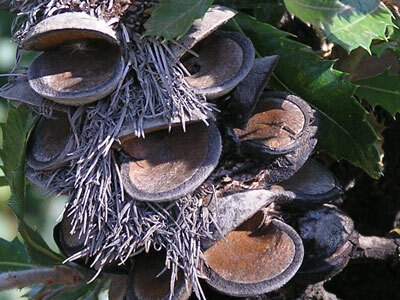 Only a dozen or so are on the East Coast. 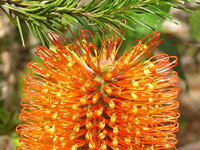 Select the thumbnail image to go to a profile and images.